Millions of Americans noticed their paychecks were a little smaller now, thanks to the loss of the 2% payroll tax cut. Were you one of them? The two-year cut of the payroll tax (which funds Social Security) expired on December 31, 2012, meaning the payroll tax rate has risen back up to 6.2% from 4.2%. How much will this tax increase cost average Americans? About $1,000 a year for individuals making $50,000 annually, and up to $4,500 a year for married couples working high paying jobs. The President and Congress thought this payroll tax cut was a brilliant idea two years ago. But apparently not worth saving during the recent fiscal cliff fiasco. Turn down the thermostat – You could save up to 10% on heating bills by turning down the thermostat by 1 or 2 degrees all day (or lower if you’re not home), and at least 5 degrees at night. We keep our thermostat at 68-70 during the day (my wife and kids are home because we homeschool) and turn it down to 62 degrees at night. Be as energy-efficient as possible – Also, consider replacing old light bulbs with new energy efficient ones. They cost more up-front but are supposed to save energy costs over the long run. Annual policy review– Anytime is a good time to review your home owners and auto insurance policies, but now is especially good, seeing that it’s the beginning of a new year, and because of the higher payroll taxes. Shop around and compare rates – Ask your agent if you’re getting the best deal possible, then shop around to get new quotes and compare rates. Increase deductibles or decrease coverage – Another way to save on insurance is to increase your deductibles. But of course, you’ll want to make sure you have money in your emergency fund to cover the amount of the deductible. Also, make sure you really need all the coverage you have. If your car is not really worth much anymore, consider dropping the comprehensive coverage if you haven’t already. Get fee-free checking – I’m still amazed at how many people use banks that charge them fees for their checking account. If yours does too, please tell me why you shouldn’t switch! Some banks, and most credit unions offer fee-free checking. And plenty of online banks offer interest-bearing no-fee checking accounts, too. Use fee-free ATM’s – Again, I’m amazed that some banks charge transaction fees for using their own ATM’s, or ATM’s that aren’t connected to their institution. Check an online bank or credit union for no-fee ATM’s. You can save big money by becoming more of a savvy shopper and watching for deals. Take advantage of end of the season sales to stock up on what you need. Also, take the time to compare prices before buying, and shop online. Reduce cable TV – If you’re not locked in to a TV package for a certain length of time, don’t be afraid to call your current provider to ask for a better rate while also shopping around for rates from other providers. Many times, your current provider will offer you a better rate if you threaten to leave and go elsewhere. But not always. If they don’t, don’t worry or take it personal – it’s a game that the cable TV companies play, and one that you can play too. They offer great teaser rates for 6 months or a year to get you as a customer, and then raise your rates when the term is up. It should make sense for them to do what it takes to keep you as a customer, but sometimes they don’t. So you go ahead and be someone else’s new customer for a while. Until that deal expires. Replace cable TV – If you primarily watch TV for movies and shows, you could cancel cable and watch streaming video from Netflix or HuluPlus instead. You’ll need a Roku or another streaming media player in order to watch streaming video on your TV. We got a Roku last year when we cut cable. But we don’t watch TV so much for movies and shows, but for news and sports. Since I couldn’t find good alternatives for those, we sold the Roku and got DirecTV. Cut the land line – Many people have found that their mobile phone has replaced their landline. But some people still want to have a phone at home. As a family with five kids at home ages 6-16, we wanted to get rid of our home phone but thought we really should still have one at home for the kids – just in case. We saw TV commercials for Magic Jack Plus and decided to give it a try. Home phone service over the Internet for just $20 a year – and you can keep your old number. What a deal! We’re saving about $500 a year by using Magic Jack Plus! I’ve heard of people who frequently asks for discounts on just about everything. I’ve never gotten into the habit of doing that, but as they say, it can’t hurt to try. Not every store or business is willing to negotiate or deal, but some are. Your mechanic, doctor, hair stylist, favorite restaurant, massage therapist, etc. might be willing to make a deal if you ask. 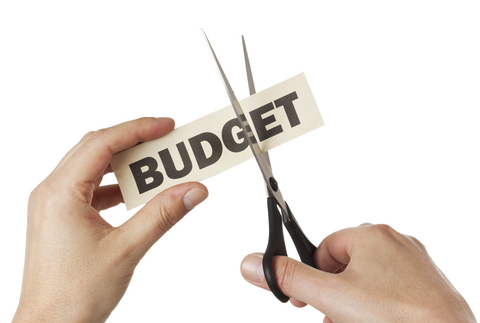 Has your budget been impacted by the payroll tax cut expiration and a smaller paycheck? What else would you add to my list of ways to save money and make up the difference?